Premium sound quality with your JKU's top off is now possible! 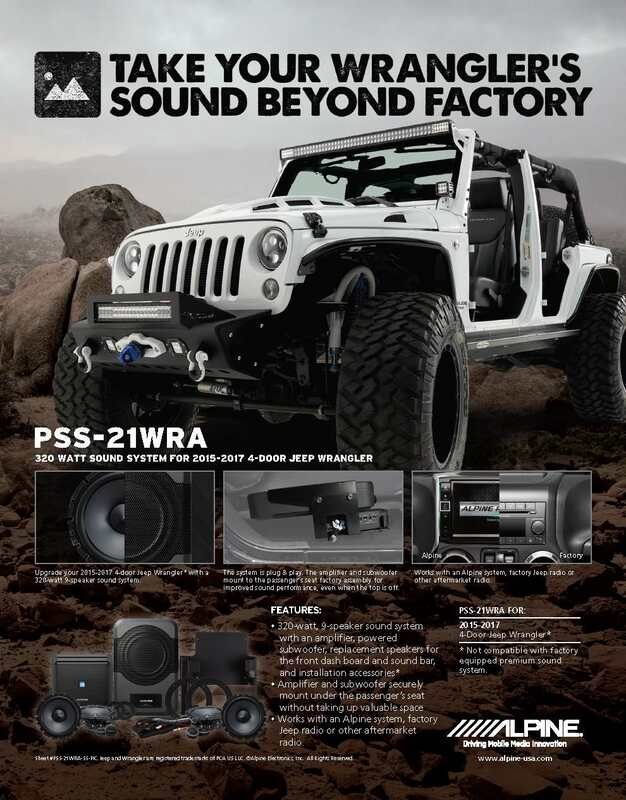 The PSS-21WRA is a dedicated 320 watt 9-speaker sound system with front and sound bar speakers, a subwoofer and amplifier for the 2015-2017 Jeep Wrangler Unlimited, providing excellent sound performance with the top on or off. The subwoofer is engineered to load and disperse lower frequency sound form the passenger's foot well area, meaning that the PSS-21WRA maximizes bass extension throughout the Jeep and sounds great with the top on or off. 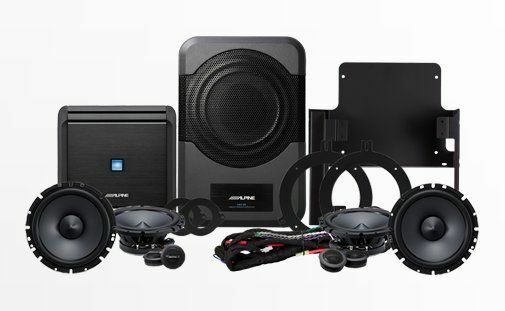 The PSS-21WRA's subwoofer and amplifier doesn't take up any usable space since they mount under the passenger's seat for an easy bolt-in installation with simple wire routing. Ruggedized metal speaker adapters are also included. The included T-Harness gets the necessary audio signal connections from behind the Wrangler's radio, making installation a breeze. 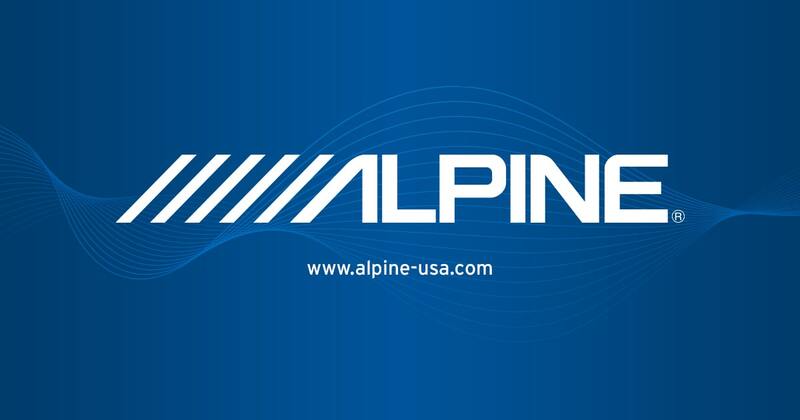 The PSS-21WRA is compatible with any Alpine Jeep Wrangler Restyle dash system, the Jeep factory radio or other aftermarket radio.